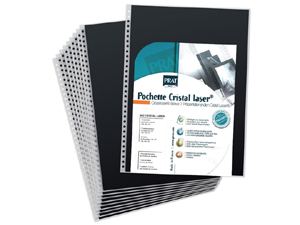 Prat 502 refill pack includes 10 clear archival quality sheet protectors (20 views) and 10 black acid free paper inserts. Compatible with PRAT 163 Pampa Book. PRAT 502 refill pack includes 10 clear archival quality sheet protectors (20 views) and 10 black acid free paper inserts. Compatible with PRAT 163 Pampa Leather Spiral Book.